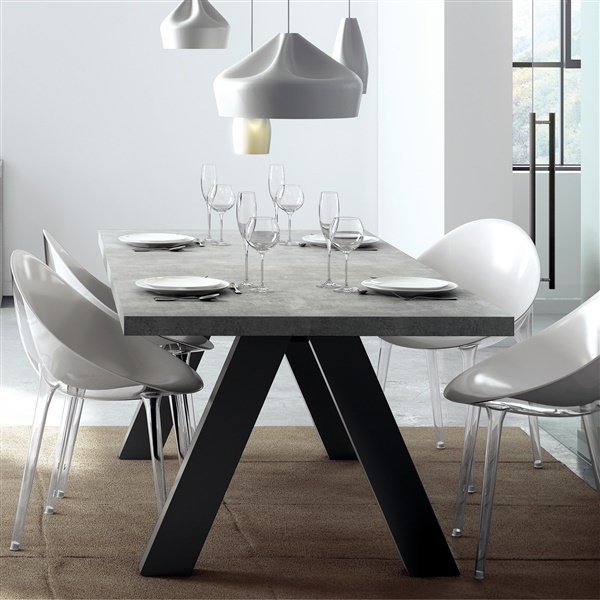 Reduced to its very essential elements, the Apex Concrete Dining Table was inspired by the traditional trestle table. The open-design is beautifully crafted from medium-density fiberboard using honeycomb core construction for added strength and durability. Contributing to a more industrial look and feel, the tabletop features a Faux concrete melamine finish, adding an elegant touch to enhance your dining space. Strong but lightweight, the Apex is also a winner in terms of functionality as its structure reaches the tabletop toward the center, allowing for a simple and comfortable interaction with the piece.